Join our KARE Team by emailing volunteer@nwkare.org or come see us at any one of our events! As the Secretary/Treasurer for KARE, Cathy Hayes has a Business Management Degree, as well as a Bachelor’s Degree in Accounting. She and her husband own and run an oyster farming business on the Hood Canal. She also owns her own tax accounting business, as well as manages rental properties. 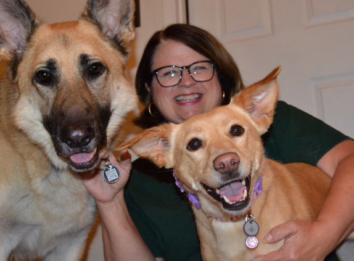 She was adopted by two rescue dogs, Penny, who recently passed away after sharing her love with the family for 13 years, and Skippy, a rescue dog who is a Certified Karen Pryor Academy Training Dog and a Certified Pet Partners Therapy Dog that specializes in hospice. She also has a grand-dog name Cookie , two cats, and several fish. 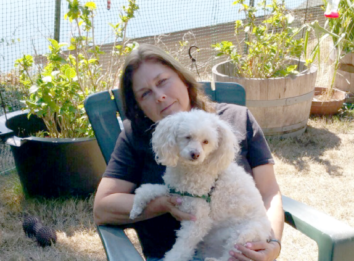 As a longtime volunteer at the local shelter, she became a Reiki Master and learned T-Touch™ so that she could provide these additional services to shelter animals. She also serves as the Adoption Coordinator, teaches classes and does behavior consults on behalf of KARE. She is a Certified Training Partner of Karen Pryor Academy and a graduate of the Canine Behavior Internship Program offered by KARE. 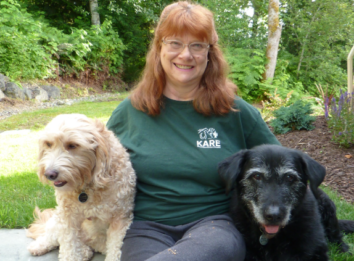 Cathy has always loved and wanted to work with pets, so being a volunteer for KARE is wonderful and rewarding. Heidi joined the KARE Board of Directors in 2013, bringing with her over 34 years of financial and auditing experience. She audited accounting and financial records for KARE, also serving as an ethics advisor. Heidi grew up in an animal-loving family and has been a longtime volunteer and patron at the local animal shelter. 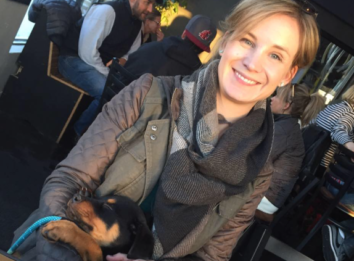 Although employed full-time as an inspector, her passions are animal welfare, adoption promotion, and continuing education about dog behavior. 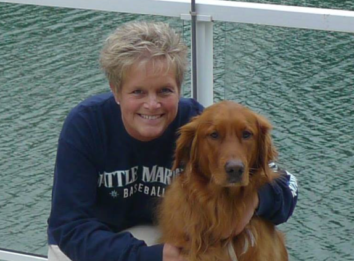 On Aug. 9, 2017, Heidi passed at Harborview after an unexpected incident while enjoying time with her beloved husband, family and dogs. 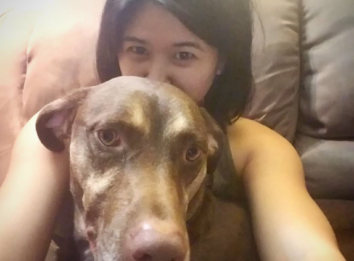 She is survived by her husband and their three dogs, Kona, Mariah, and Rylie, and will forever be loved and missed by our KARE family.